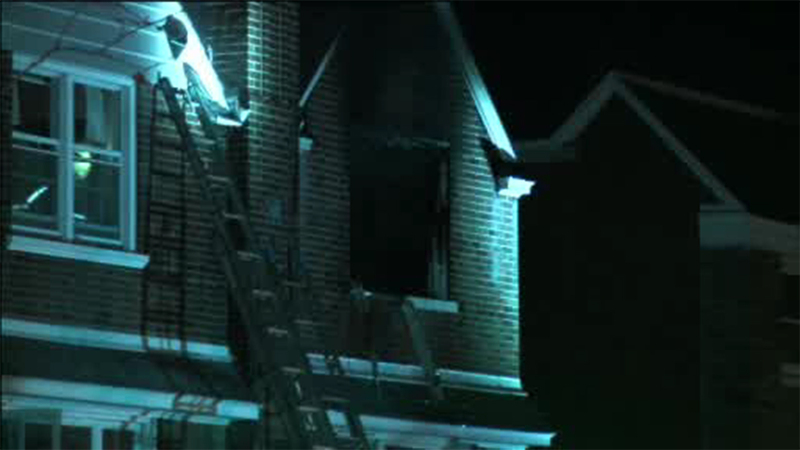 MAYFAIR (WPVI) -- A family of four managed to escape a house fire in the Mayfair section of Philadelphia. It happened around 4:50 a.m. Sunday on the 3100 block of Teesdale Street. Arriving firefighters found heavy black smoke pouring from the second floor of the home. They were able to get the fire under control. A couple and their two children were able to escape unharmed. The Philadelphia Fire Marshal's Office is investigating.